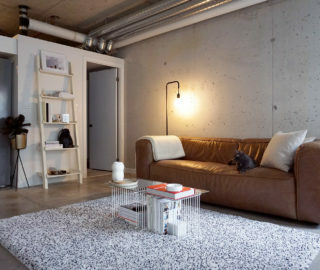 Neue flooring from Nadurra runs throughout. 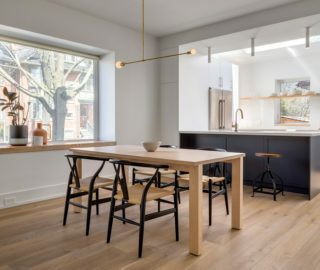 Carl Hansen & Søn dining table and chairs, and Gubi pendant above, from Hollace Cluny. 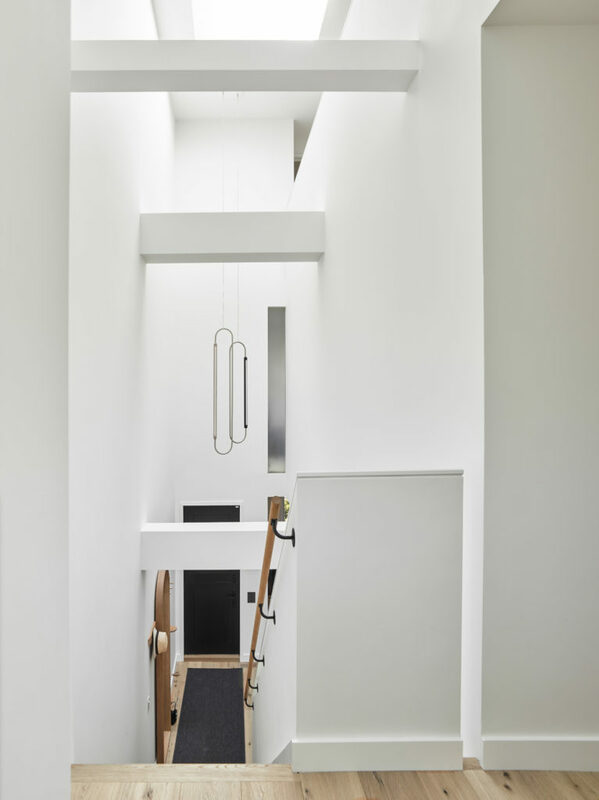 A closer look at the skylights, sculptural staircase, and cut-outs in the guardrails. 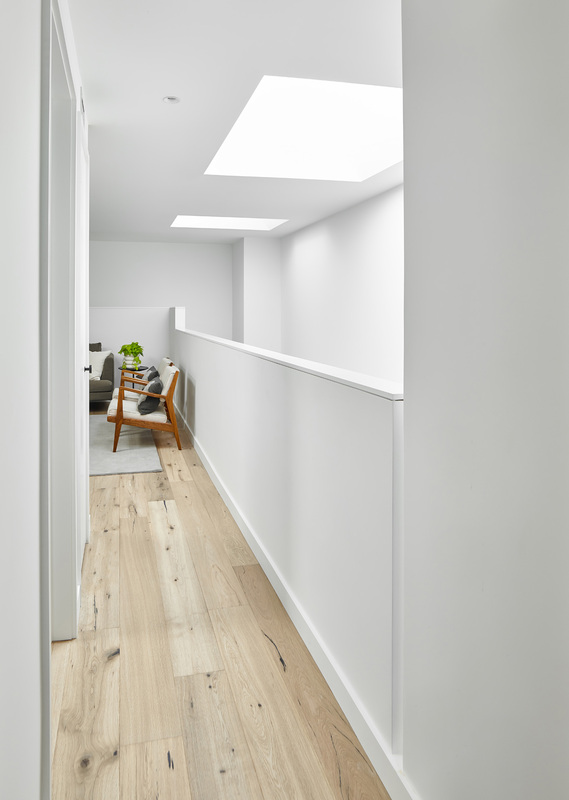 Skylights reign over the third-floor playroom, where an articulated corner and slots in the guardrails add interest to the space. 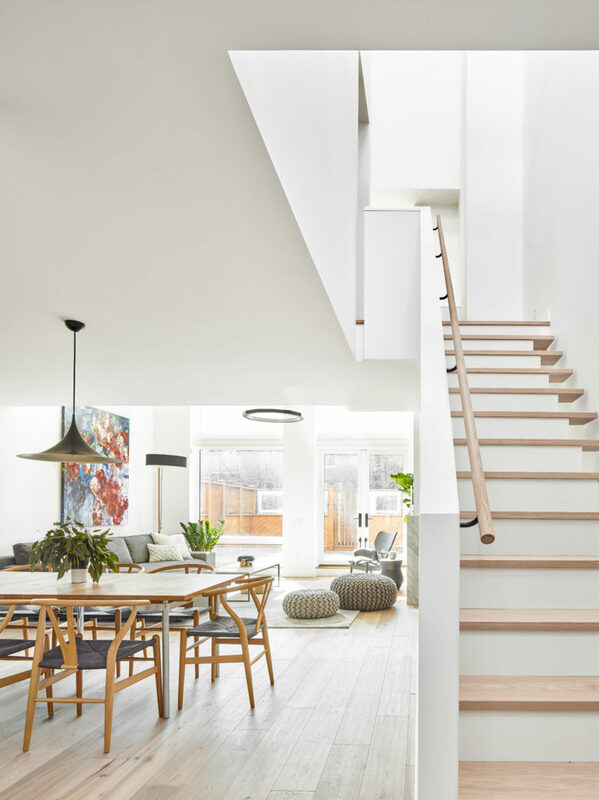 If you’re looking for a high-design renovation, a nearly 30-year-old traditional house in Summerhill seems an unlikely place to find it. And yet this house, with its improbable combination of a mansard roof and built-in garage, proved fertile ground for a modern family dwelling. 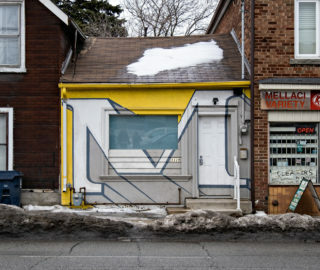 It was bought by a thirtysomething couple that was ready to leave King West for a more family-oriented neighbourhood. “We wanted somewhere to lay down roots,” the homeowner says. 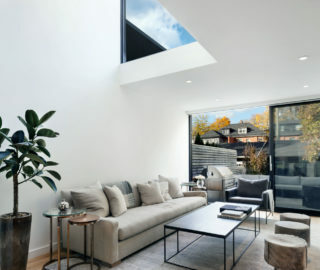 The living room with its 5.2-metre-tall ceiling brings in light from the south-facing deck. 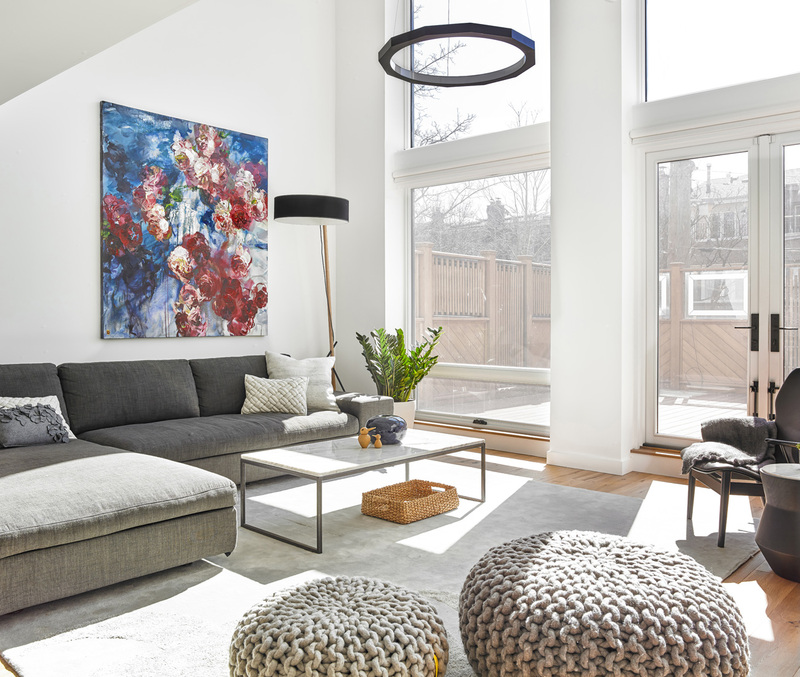 Sofa from Italinteriors, pendant and floor lamps from Hollace Cluny, painting by Bobbie Burgers. 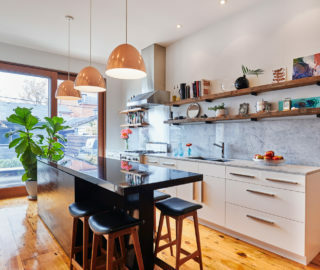 After moving in and having two kids, however, they wanted to remake what the client calls a “seriously dated” interior that featured brown granite counters and glass block in the bathrooms. Enter Brian O’Brian of Omas:Works, and interior specialists Croma Design. 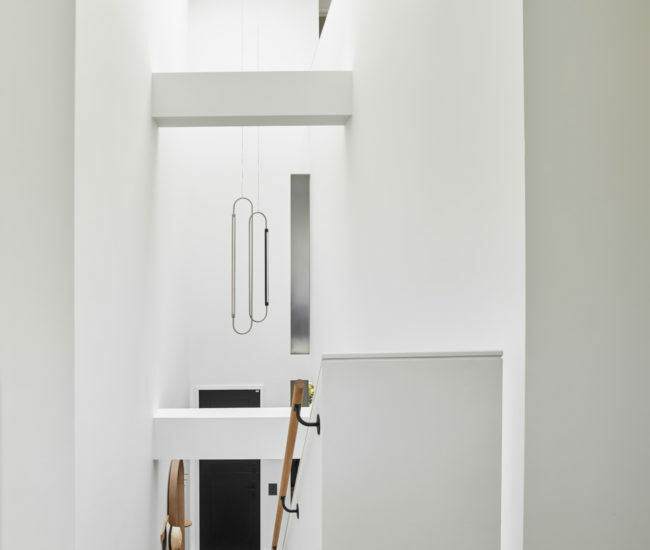 The firms stripped away ornament and made a few careful alterations, revealing the modernist spirit hiding behind the mouldings. 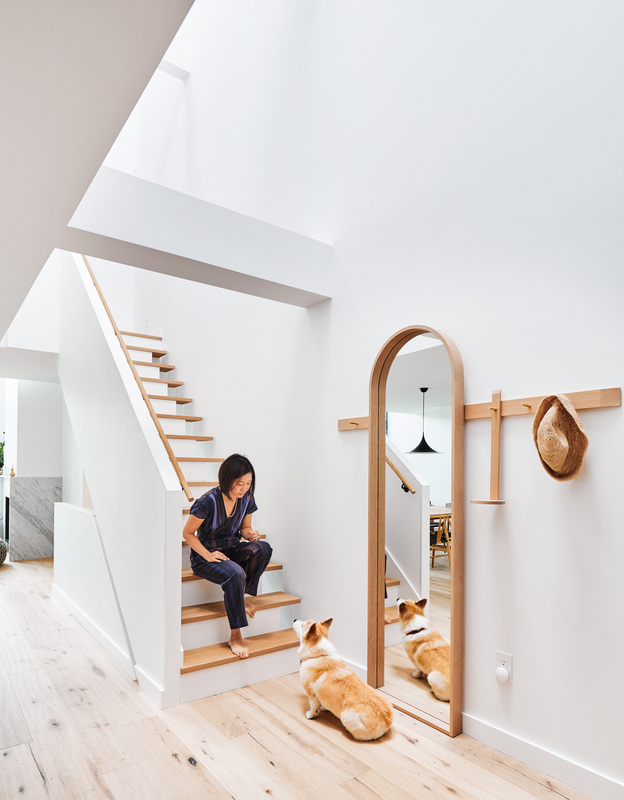 Humphrey, the family corgi, is reflected by a Coolican & Company mirror. Up a long flight of exterior stairs, a black-stained door and black mailbox hint at the house’s new character. Inside, it’s more obvious. 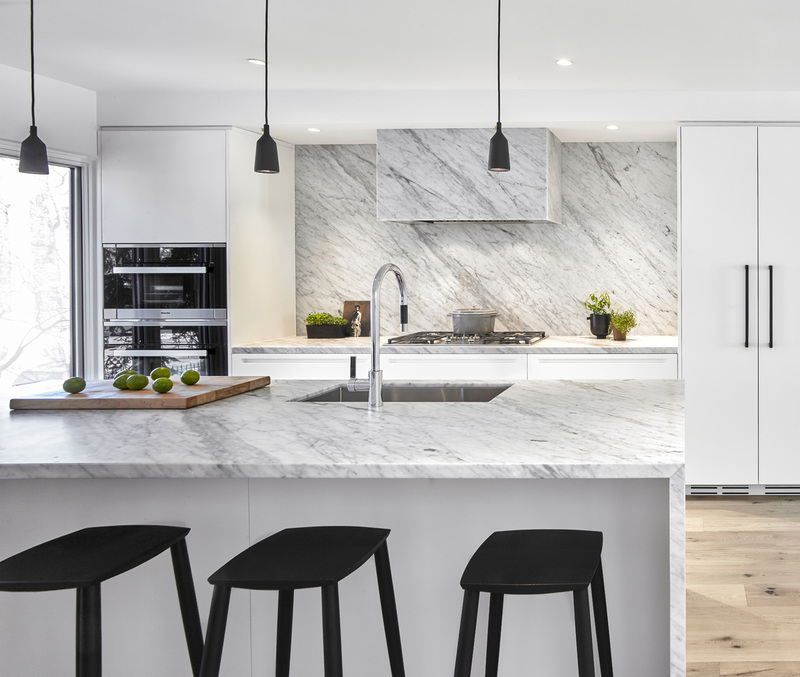 Pale white-oak flooring extends across a bright main floor toward the two-storey windows at the rear, and to the kitchen to the left – ruled by thick slabs of Bianco Carrara marble and a few well-proportioned white doors. (The master suite fills the second floor, while a kids’ room, guest room and playroom occupy the top floor.) 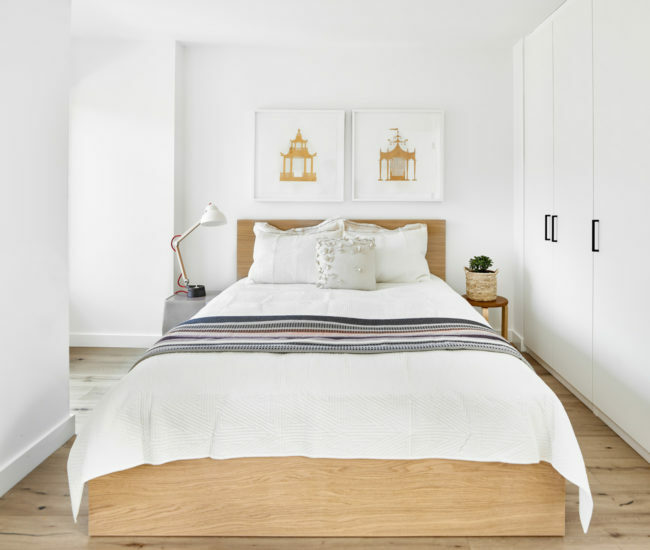 All have the same simple palette of white oak in two finishes, one type of marble and white drywall. 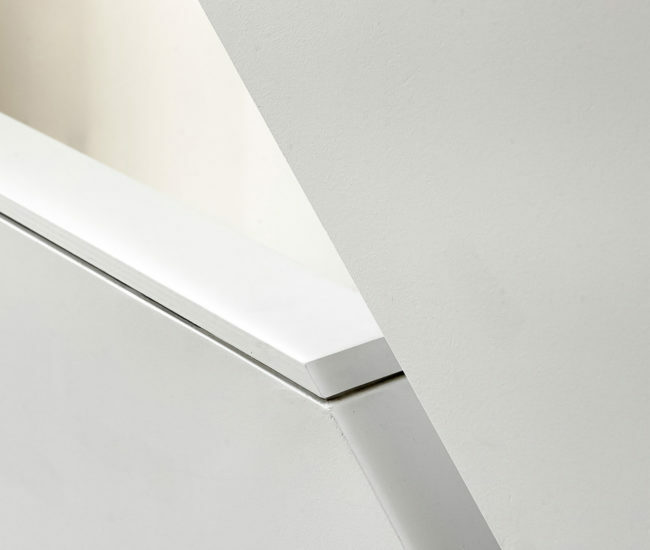 Marble covers the countertops, backsplash and hood vent in the Boffi kitchen (from Italinteriors). 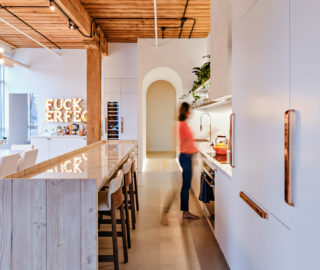 Pendants from Mjölk; stools by Coolican & Co.; faucet from Ginger’s. O’Brian, meanwhile, helped this simple house also be interesting. 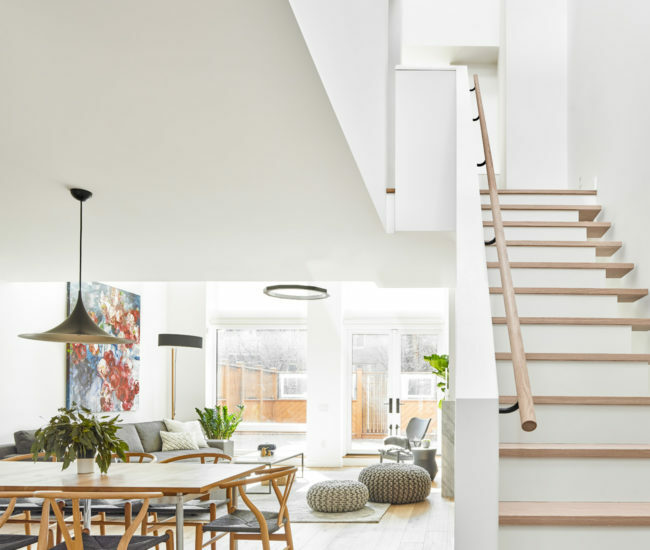 “Architects think spatially first,” O’Brian says, “and you can see that in the way this design has come together.” Above the main staircase, O’Brian reshaped the ceiling below the two skylights that usher in light from above and to the north, then visually opened the stair onto the double-height living room, adding a partial wall at the top to shield the third-floor playroom. 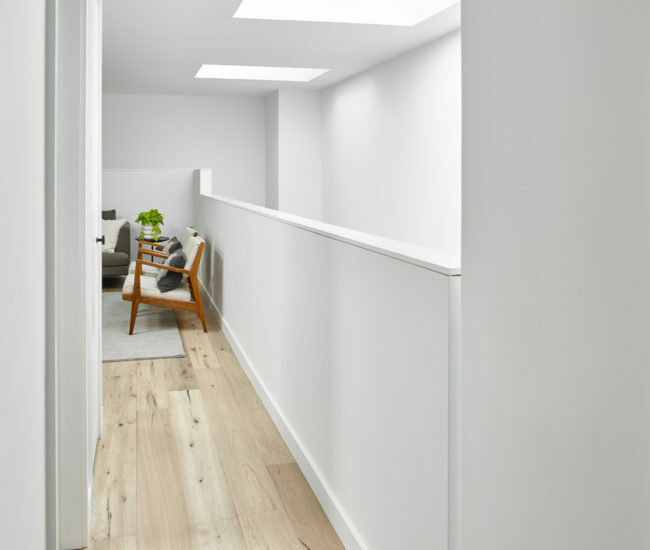 This arrangement of planes and peekaboo gaps provides spaces that are childproof, and private yet connected – full of daylight and a very modern spirit of experimentation. 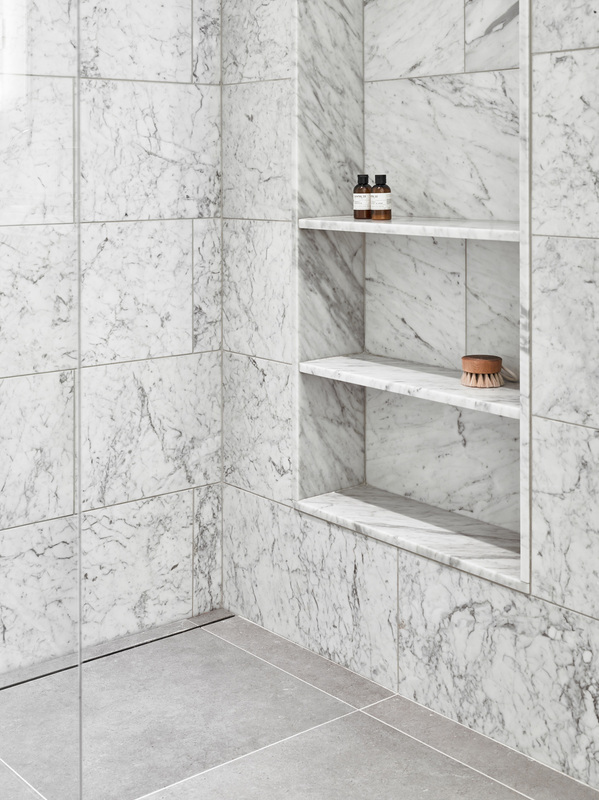 Bianco Carrara (from Ciot) clads the shower walls in the master ensuite. The clients credit their two designers for their dedication and discipline. 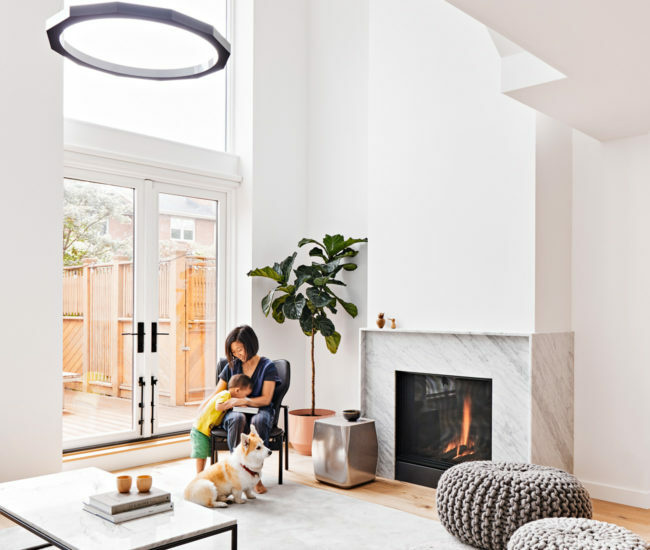 O’Brian “didn’t care about the size of the project,” the homeowner says, “but about what he could do for the client.” And to take a house like this from traditional to “both calm and full of visual interest,” as O’Brian suggests, was a historic feat. Originally published in our 2018 Reno issue as Hitting New Heights.